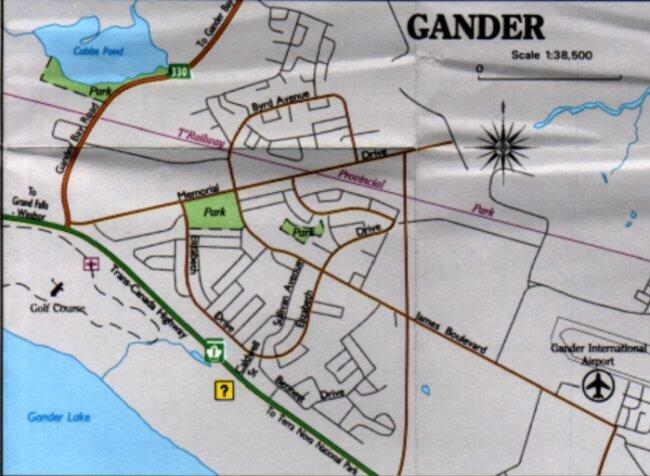 - (1998) The city of Gander is located in the province of Newfoundland. The radar station is located just off the Trans-Canada highway about 3 km from the city. The unit is right across the road from the International airport. Map 2 is courtesy Newfoundland and Labrador Tourism. Used with permission.